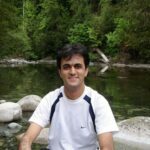 HRANA News Agency – The authorities do not permit Saeed Malekpour, the prisoner of the ward 2-A, who is sentenced to life imprisonment, to have furlough. HRANA News Agency – Vahid Asghari, Iranian imprisoned blogger in Ward 350 of Evin prison began hunger strike due to he was transferred to Solitary Confinement in Ward 240 and banned of visiting for three weeks by judge Salavati. According to a report by Human Rights Activists News Agency (HRANA), Vahid Asghari refused to defend himself and said he would not appeal the sentence, because he considered the court of first instance to be illegal and he must be in Handcuffs and shackles to be transferred to the court. So, his judge, Abolghasem Salavati at branch 15th of Tehran’s revolutionary court, issued 10 days in solitary confinement and three weeks ban of visiting for him. He said he will begin hunger strike in protest, while he was being transferred to solitary confinement. 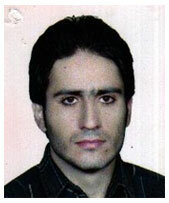 HRANA News Agency – Amnesty International; An Iranian man, Gholamreza Khosravi Savajani, is scheduled to be executed on 10 September, on the charge of “enmity against God” (moharebeh) for his alleged support of a banned Iranian opposition group, the People’s Mojahedin Organization of Iran (PMOI).